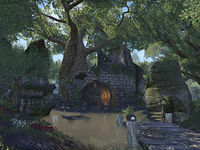 Lanalda Pond is a small pond at the base of a crumbling tower in northern Greenshade, north of Dread Vullain. Within the tower is a special crafting site, where you may craft items in the Whitestrake's Retribution set. 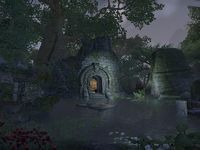 A tale describing the legend of Lanalda can be found inside the tower.